Why are the refugees coming into Europe? Where are they from? 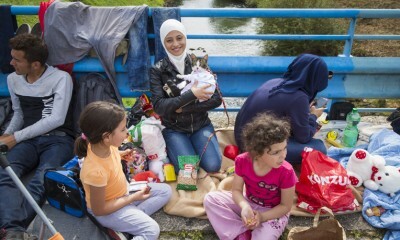 A large percentage of the most recent refugees are from Syria. In Syria, a more than four-year-old civil war between President Bashar al-Assad and various insurgent groups, including the Islamic State, has resulted in the deaths of more than 200,000 people and displaced millions. 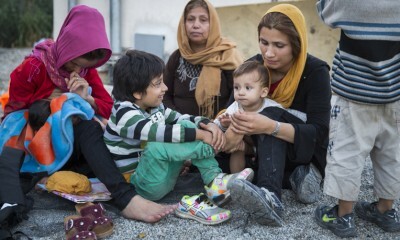 Other refugees are escaping violence in the nations of Afghanistan, Iraq, Iran, and Pakistan. 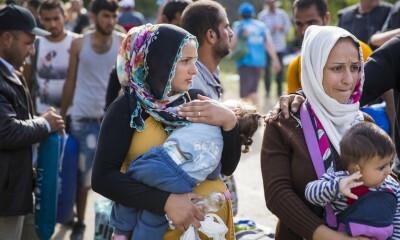 More than 1 million refugees arrived in Europe by sea last year. 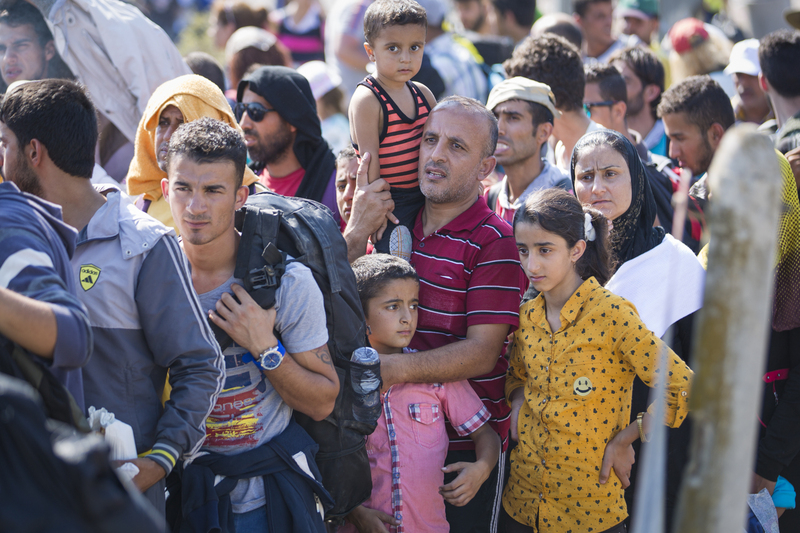 The majority of them are simply seeking safety and the opportunities that Europe provides. What is Samaritan’s Purse doing on the ground? 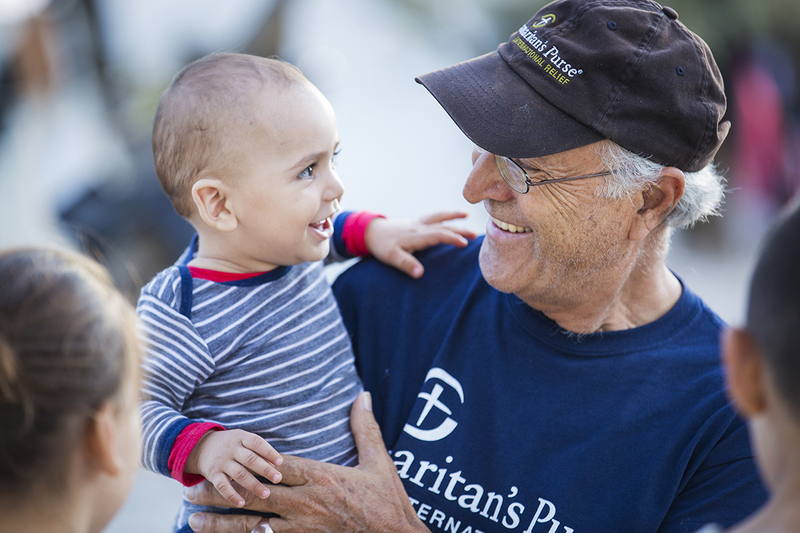 Samaritan’s Purse has staff on five islands in Greece, in two locations in mainland Greece, and in Croatia working in Jesus’ Name to provide relief to vulnerable people. In Greece and Croatia, we are focusing on providing shelter, clean water, and sanitation, including heated shower containers and handwashing stations. Our teams have installed flooring, tarps, and heaters for winter shelters in Greece and are working to improve conditions within transit centers on a daily basis. We're also working to distribute backpacks filled with food, hygiene items, ponchos, hats, blankets, and other necessities. We've distributed more than 59,000 backpacks. Partners in Macedonia, Serbia, and Hungary are meeting similar needs in those countries. In Greece, we're providing refugees with Wi-Fi and phone charging stations so that they can stay in contact with their families while they travel. We're also distributing prepaid debit cards to vulnerable women and families so that they can buy the items they need most. While others are involved in screening, registration, and transportation, our work is focused on helping these families by supplying them with essential resources and aid in Jesus' name. 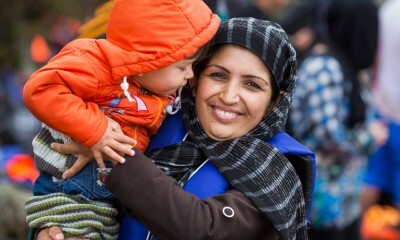 Our staff and volunteers are extending the love of Jesus Christ to refugees young and old. 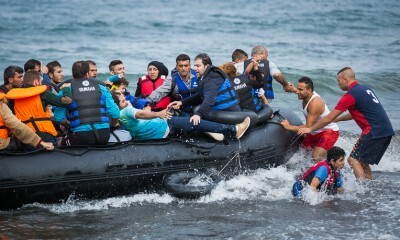 Are most of the refugees men? If so, why? The majority of refugees are young men. It is more difficult for women, children, and the elderly to travel such long distances. Travel over sea (from Turkey to Greece or from North Africa to various European destinations) is incredibly dangerous and thousands of lives have been lost. Children are especially vulnerable. Samaritan’s Purse relief efforts are focused on helping the women and children who attempt the perilous journey. Are people refusing food or other items? 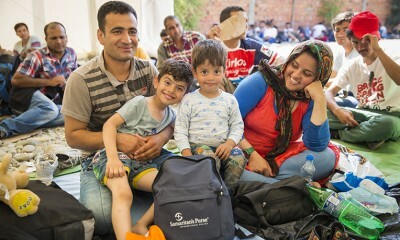 Samaritan’s Purse staff report that refugees are in a rush to move on, but they are thankful for the assistance we have provided. Many are simply trying to get through to the next destination and are grateful for any help that they receive. Please pray for the safety of the refugees and that they will see the light of the Gospel through our efforts. Pray for the work of our staff, volunteers, and evangelical partners. Especially, pray for peace in the Middle East, North Africa, and South Asia. "I Cried and Cried for Hours"